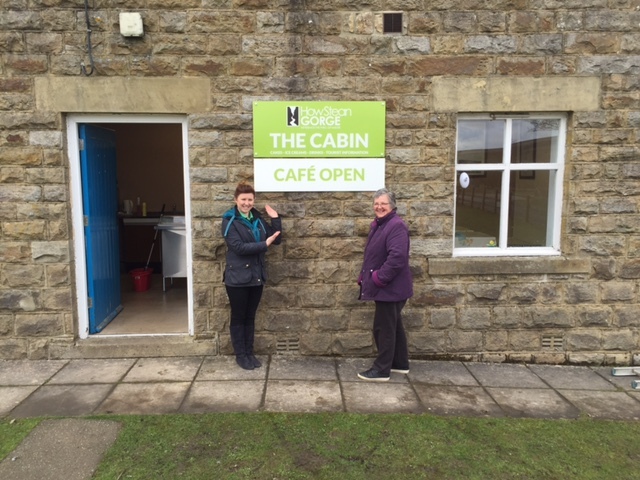 Scar House Cafe ‘The Cabin’ is open every weekend Saturdays and Sundays from Easter holidays through to the end of Autumn. The cafe opens at 11.00 through until 16.30 both days. Hot and cold drinks are available inc Yorkshire Tea, Filter coffee and a selection of can’s and bottled pop/water. Fancy a quick treat before or after your walk in the Scar House area? We have Locally Made Ice cream from Meadowdale Dairy based in Lofthouse, Home baked Cakes from our cafe at How Stean Gorge and there is also a selection of sweets and chocolate bars if your on the go. Shelter away from that Scar House wind in this gorgeous little refuge. Only a short, picturesque walk away How Stean Gorge, so if you want to take a break from your adventure filled outdoor activities then The Cabin is the perfect spot. Our main cafe and shop at How Stean Gorge is open all year round 9.00 – 17.00 (apart from Christmas Eve and Christmas Day) if you would like a hot meal or something more substantial to fill your rumbling tum. 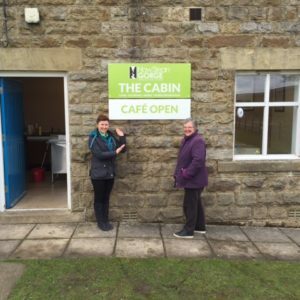 Scar House Cafe has a small selection of Maps available and also information on the local attractions in Nidderdale and other areas of Yorkshire such as Pateley Bridge, Boroughbridge, Knaresborough and Harrogate. If you would like to view Scar House Reservoir from a different angle, Canoeing and other Outdoor Activities are available from our Outdoor Activity Centre. Please ask one of our local staff members if you have any questions they are always happy to help.